So, Happy Woman’s Equality Day — we’ve come a long way baby, as the slogan for Virginia Slims cigarettes once said. But let us not forget our sisters around the world who are enslaved, genitally mutilated, denied the right to an education, and even the right to show their faces outside their homes. 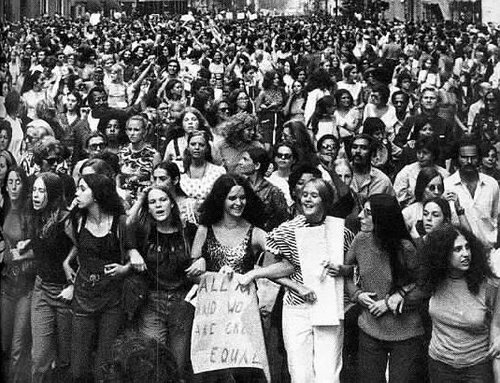 Let us not forget either,, that although Congress officially recognized August, 8th, 1971 as Women’s Equality Day, The Equal Right’s Amendment has still not been ratified in Nevada, Utah, Arizona, Oklahoma, Illinois, Mississippi, Alabama, Georgia, Florida, North and South Carolina, and Virginia. Also that political and religious factions, committed to stripping women of their hard-won rights to choose, and so many other rights, are hard at work right now. And finally, that Hilary Clinton has shattered the infamous glass ceiling, and is the Democratic presidential candidate for the election of 2016. Remember to vote wisely in the election to come. Yes, we’ve come a long way baby, but we still have a long way to go. Dorothy, I do love this story and it inspired me to write my own story about the 50th anniversary of the vote and women’s equality day. In the US, the word used by suffrage activists was suffragist. Suffragette was British and it was used as a put-down in this country. But I know it’s made all the more confusing by the movie called Suffragette. That was about the fight for women’s suffrage in the UK. One wonders what the “suffragette” in your story would have called herself. and “suffragette.” For some reason the term “suffragette” stuck in my head ever since my meeting with the woman at the march, so I used that term in the anthology and in my blog post. An exciting essay with a few grammatical errors and maybe a few questionable word choices, but overall a wonderful tribute to the suffragettes, who made a choice to push the boundaries of polite society. Thank you for sharing this wonderful experience. Great story Lynn, I forwarded to some friends. Madeline, Thanks for your enthusiastic praise of my posting, and for passing it on to friends. Madeline, Thanks for your enthusiast praise of my story, and for passing it on to friends.